A lawn so good, it deserves a welcoming committee. 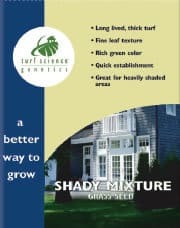 Planting Rate New Establishment: 4-6 lbs./1000 sq. ft. Existing Lawn: 2-3 lbs./1000 sq. ft.